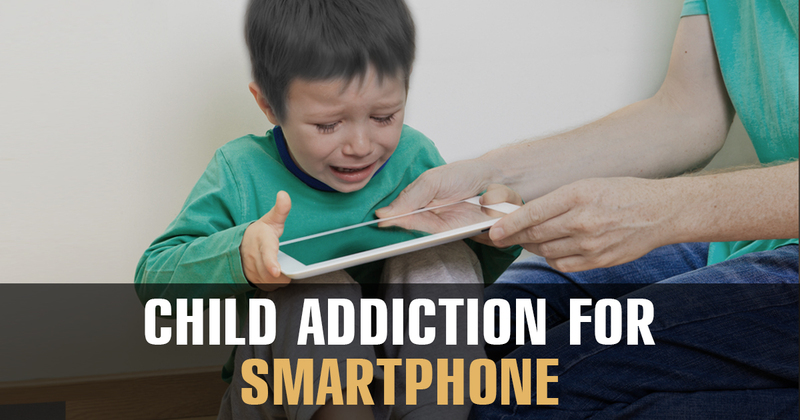 Providing your kid a smartphone is a real gift or is it a gram of cocaine you are giving them to try on? The top addiction experts warn that the smartphone is less relieving and more dangerous for teenagers. At an education conference in London, the school leaders and teachers concluded that smartphone is time-consuming and time deployed in messaging friends on messenger apps make teenagers addictive which is same as drugs and alcohol habits, so it is required to be more aware while judging your kids day to day activities on the smartphone. When you give a tablet or a phone to a teenager for operating, it is just similar to you are handling them a bottle of wine or a gram of coke. Perhaps, it is not the right way to render freedom to your kids as it is more adverse than being beneficial because you don’t know what teenagers are doing behind the closed doors. But, we have a general mentality that only drugs and alcohol are harmful although the smartphone generates the same impulses in one’s mind as well. About 33% of the children aged 12-15 in British, confessed themselves that they do not have a balance between digital screen and other curriculums. It is just general that people relate addiction to substance or thing but in actual it is a format of conduct that can have multiple ways to platform them such as food obsessions, sexting, and self-harm. The issue became more serious when most of the kids are seen sending or receiving pornographic related content, images, and videos online via their smartphone. Ms. Saligari, who heads the Harley Street Charter clinic in London, revealed a rough calculation that 66% of the patients coming to seek treatment for addiction are 16 and 20 years-old youngsters and some are even small kids and this number has increased drastically considering from past decades. In a survey, around 1500 teachers participated and more than 1000 accepted that they are aware of students sharing sexual content. The interesting thing is that 1 out of the 6 belongs to primary school kids. In last three years, over 2,000 children were informed to police regarding obscene images related crimes. Most of the girls aged 13 and 14 years describe the sexting as a normal activity. Their thought process is even critical as they believe that sending naked images is not a crime but it becomes ‘Wrong’ only when your parents and teacher are informed for your activity. Ofcom figures show that four in every ten parents of 12-15 years old kids are not able to regulate their kids’ screen spending time. As per the information collected from the broadcasting regulators, even 3 and 4 years old kids spend approximately six and half hours on the internet per week. The solution is to track the sleeping, digital spending time and other activities. The systematic flow of activities is also needed to implement at the school level as avoiding the smartphone at the time of school hours or initial hours need is necessary. With school going kids, it is hard to control them using a smartphone as it plays the role of third hand for them. But if they spend some time away from the digital screen, it will be a great approach. Catching them at an early age and explaining them to stay away and about self-control is another approach to prevent them from ascending. So, regulating your kids and safeguarding them from digital screen and addiction is the requirement of the current trend and also important for social peace. « OnePlus 5T V/S Pixel 2: Which Is Best For You?